Rediffusion’s history begins in the 19th century, with a company of quite a different name – and quite a different business. 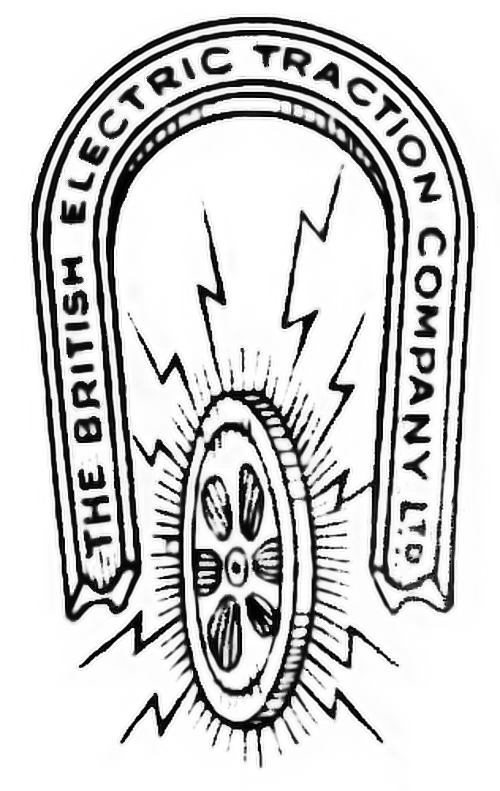 ‘British Electric Traction’ (BET) provided the cables over which power ran to the trams that had become common in the major conurbations of the UK at the end of the Victorian era. They also manufactured tram motors, thus ‘Traction’. From this base, BET expanded into making, and even operating, tram systems in the UK and ‘the Dominions’ as were. A SMET (South Metropolitan Electric Tramways & Lighting Company) car on the Croydon – Tooting service. The BET device is described as being in gold, and in this instance would be on the holly-green colour initially adopted (along with contrasting cream) by SMET as livery. When broadcasting first began in earnest in the UK in 1922, BET soon realised that they had a complete wired network of cables that passed a significant number of homes in the larger industrial towns. Those home that they didn’t pass by were very close and easy to reach. And radio reception – thanks to very low-power broadcasts and crystal-based, home-made ‘cat’s whisker’ radio sets – was a touch and go business. 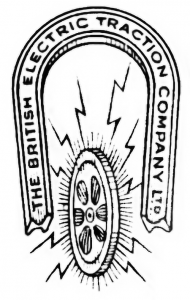 The wheel and magnet device, logo of British Electric Traction and its subsidiary companies such as SMET (see above) is possibly the ancestor of the Adastral. If a company were to pick up, off-air but with large, well-tuned and expertly directed aerials, the signals from the then British Broadcasting Company, and provide them directly to a loudspeaker in the front room of a well-off household, they could easily replace the headphones-and-drifting-tuning that bedevilled early radio. If that company already had a complete electricity distribution system to hand, they could run additional ‘cable radio’ wires between the same poles in the street as the overhead wires for the trams used, and even, ultimately, carry the radio signals via AC (Alternating Current) through the same cables as the DC (Direct Current) power to the trams was supplied. They could access a ready-made market of potential listeners-in who wanted radio entertainment – if only it were affordable and non-technical. That company could then charge a few shillings a month (or less), and, with little capital expenditure, make a fortune from the public’s interest in the new medium. 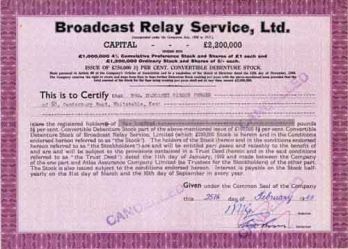 BET was the company to do it, and while they initially called their offspring, formed in March 1928, Broadcast Relay Service Ltd, it soon became known as ‘Rediffusion’ – literally meaning ‘broadcasting again’. Rediffusion was almost immediately profitable. The company soon branched out from simply ‘re-diffusing’ radio, into the manufacture of radio sets. From there, the sale and hire of sets in the High Street followed. As broadcasting opened up in the Dominions, Rediffusion was hot on its heels, using the tram wires, or bespoke ‘pipe radio’ systems, to provide the new Dominion broadcasting stations to the cities, as well as the new BBC Empire Service (now BBC World Service Radio). 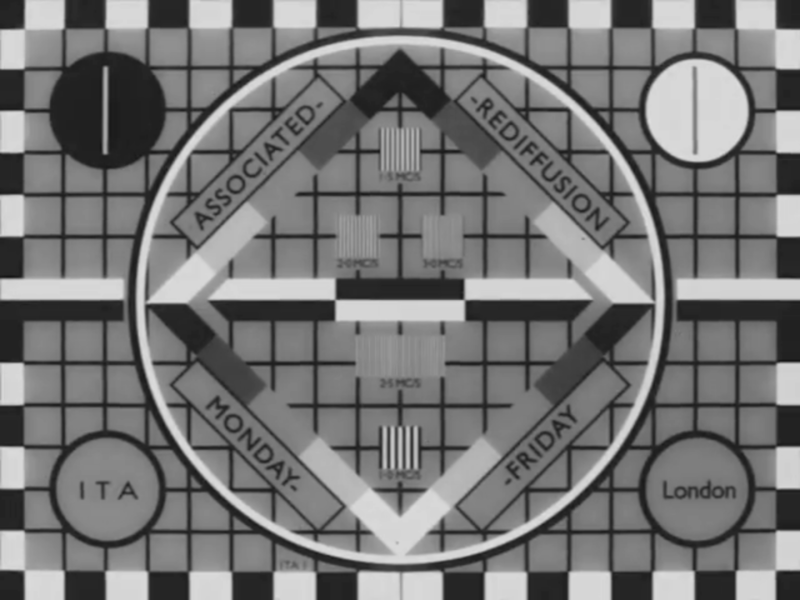 When the BBC began the first regularly scheduled high-definition television service in the world in the mid-1930s, Rediffusion was again well-placed to provide television sets for sale and rent, plus a ‘pipe-TV’ service to those not well-placed for broadcasts from Alexandra Palace, or reluctant to have such a gauche symbol as a VHF TV aerial on their roofs. World War II interrupted television, the growth of wired distribution, and much of the peacetime activities of both BET and Rediffusion. For the duration, the whole of the Empire was put ‘on hold’ and all energy devoted to the war effort. For Rediffusion, this meant their expertise in reception and rebroadcasting suddenly became, not a diversion for the middle classes, but of essential national importance. Rediffusion had a wealth of knowledge that the Allies – and especially the UK, ‘standing alone’ – needed. From broadcasting (for radar) to cathode ray tubes (for radar). From cables (for troop communications and radar) to reception sets (for monitoring communications of friend and foe, and radar). To this day, several elements of what Rediffusion did during the war are held under the Hundred Years Rule (that means it will be late 2045 before we know exactly what they were). So even today, we don’t know exactly what Rediffusion did in the war against Fascism – though we can probably guess. Immediately post-War, the world changed dramatically. BET was included, with some justification, in the list of companies the new Labour government planned to nationalise. The tram systems started to disappear too, partially because the necessary nationalisation of the electricity companies meant that the old local generators became part of the new Central Electricity Board. The councils who ran the trams had to pay for the electricity, and coupled with war-delayed refurbishment of the systems, it was cheaper and easier to shut them down and replace them with bus services. Within a decade of the end of the war, nearly all of the trams – and all of the services in the industrialised areas – had gone. BET, however, survived without being nationalised, due largely to Labour losing power at the end of 1951, despite getting more votes than it achieved in 1945, because of the UK’s antiquated electoral system. 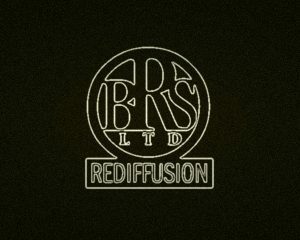 BET and Rediffusion, in an effort to avoid nationalisation, had started to diversify even further than before, especially overseas. With the Dominions gone, they repeated previous successes by starting Overseas Rediffusion, offering wired television and radio, and later over-the-air broadcasting stations in the remaining colonies. Soon, places as diverse as Barbados and Hong Kong had, respectively, Rediffusion Radio and Rediffusion TV in operation – one broadcast, the other wired. So when a commercial television service to rival the existing non-commercial BBC Television Service was first mooted by the incoming Conservative administration, BET and Rediffusion were immediately on the scene. They sought to run the entire operation – or, failing that, they would be happy with having the franchise for London. When the first contracts were awarded in 1954, they were given London weekdays, sharing a frequency with a rival company who were given Saturday and Sunday. To a degree, a modified version of this system still exists in London to this day. BET and Rediffusion were reluctant to take on the full risks of this venture – just in case – so they split 50% of the company equally between them and took on partners for the other half, in the form of Associated Newspapers, publishers of the British arch-right-wing Daily Mail newspaper to this day. On Thursday 22 September 1955, Associated-Rediffusion (A-R) took to the air in London. It was an immediate disaster. Both Associated-Rediffusion and weekend rivals ATV (though they started life calling themselves ABC until an injunction from the cinema chain and putative commercial television contractor of the same name put paid to the initials) lost money on Day One. By the end of the first week of broadcasting, the loss of money had turned into a haemorrhage. By the end of the first month, the loss of money was such that a man shovelling fifty-pound notes on to a fire could scarcely have kept up. By the start of 1956, ATV was going under and Associated-Rediffusion, fearful that it would be asked to provide programmes on the weekend as well, started to prop themselves up in various ways. By early 1956, ATV had spread to the Midlands and the next contractor, ABC (owners of the cinema chain of the same name) was providing the weekends from the Birmingham transmitter whilst the London weekend company provided the weekdays. New entrant ABC immediately began to lose money. By mid-1956, Granada in the nominal north of England had arrived on weekdays, with ABC again on weekends. And whilst ABC’s parent company, the Associated British Picture Corporation (ABPC), had pretty deep pockets, Granada did not. Granada had 35 cinemas in the south east and no film-making production base to rely on (ABPC also had a large investment from Warner Brothers to help). So Granada signed a deal with Associated-Rediffusion that was against both the wording and the spirit of the 1954 Television Act. But the deal allowed Granada to feel secure and gave Associated-Rediffusion an important source of networked programming. The deal meant that A-R guaranteed that Granada wouldn’t make a loss – but that Granada’s profits were, effectively, to be Associated-Rediffusion’s property. At this point, no one was making a profit. But BET had very deep pockets, and was more than willing to gamble them away on British commercial television. By the end of 1956, Associated Newspapers were desperate to leave and paid BET and Rediffusion to buy the majority of the shares back, leaving only a 10% holding. The corner was turned in 1957-58. From that point, A-R, ATV and ABC all began to make greater and greater profits every year – more money than they knew what to do with, in fact. Poor Granada was left breaking just over even until the 1960s, thanks to their justified timidity and Associated-Rediffusion’s unjustified boldness. But Associated-Rediffusion’s success would be its ultimate downfall. The licences to broadcast in the UK were not permanent. Every few years they were put up for review. In 1963, A-R swaggered into their interview and swaggered out again – justifiably feeling themselves to be the king of ITV. But they offended the man in charge of the review, Lord (Charles) Hill of Luton, the man who, as Postmaster-General in 1955, had given birth to ITV in the first place and was now the head of the independent regulator, the Independent Television Authority. He was unable to act under a Conservative government (despite being a Tory himself). But by 1967, he was acting under the auspices of Labour, returned to power in 1964 for the first time since 1951. Labour wanted ITV controlled and disciplined; Hill wanted ITV to obey the Authority. So when Rediffusion London – the name that Associated-Rediffusion had taken in 1964, finally recognising that Associated (Newspapers) were no longer significant shareholders – swaggered into the interview again and swaggered out again, Hill took action. In December 1967 he announced that, from July 1968, Rediffusion London would be merged with ABC in the north and midlands. Rediffusion London’s contract would be given to the new company, of which ABC would hold 51% – despite being far smaller, both on the network and in terms of profits and parent size, than Rediffusion. 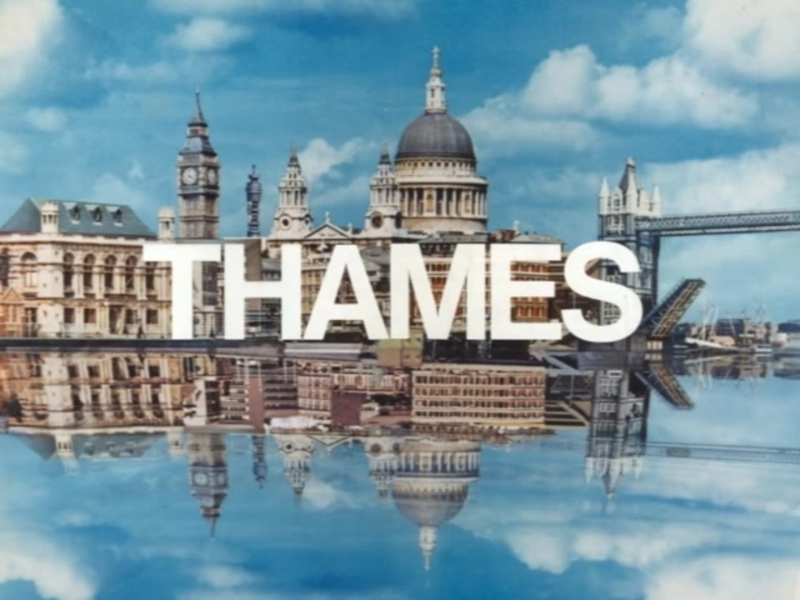 In July 1968, Thames Television – essentially ABC plus the bits of Rediffusion that ABC wanted – was born. On weekends, a new company calling itself London Weekend was born, with LWT being made up largely of former Rediffusion staff with a sprinkling of ex-ABC. In Yorkshire, former ABC staff helped create Yorkshire Television (YTV) with a sprinkling of ex-Rediffusion personnel. 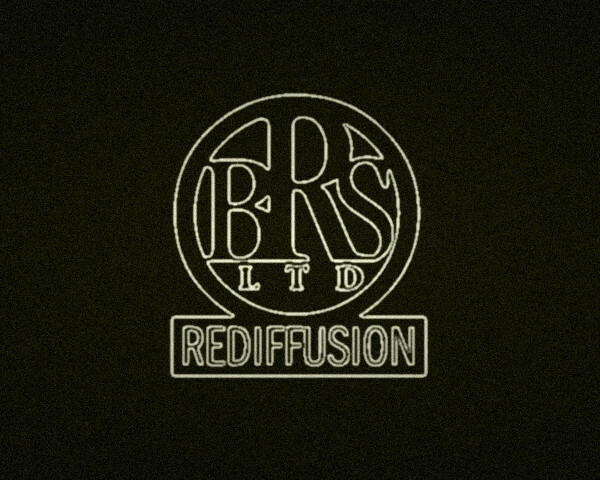 Rediffusion Television Limited continued to exist as a separate entity (as did the Rediffusion rental chain, Rediffusion Cable systems and Overseas Rediffusion). Their last real production for British television was The Life and Times of Lord Louis Mountbatten, shown in the UK as a Thames presentation, and as a Rediffusion Television production. 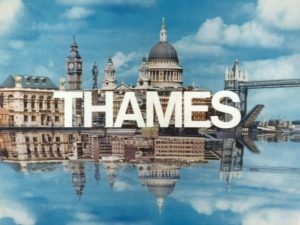 Thames itself was removed from ITV at the end of 1992 on the orders of the then-government, though it retains its programme production capability and is now part of what was Radio Luxembourg (later RTL, then CLT, now Fremantle Media). Having lost the creative side of their business, Rediffusion and BET were left with a 49% investment in the major ITV franchise, plus the other areas into which they had diversified. These included air conditioning, office management, waste disposal (Biffa), background music (Reditune, the second largest company of its type in the world), telecommunications (Redifon), burglar alarms (Shorrock), aircraft flight simulators , bespoke CCTV systems, Rediffusion International Music, and of course the television rental arm, and local wired systems; and a whole host of things that – by a great stretch of the imagination – could be considered part of ‘broadcasting’ as an industry. Their 1975 slogan was “we know TV inside out”. But the world was about to change – again. Whilst companies with a lot of minority interests in many industries had been fashionable in the 1970s – walking Unit Trusts, really – by the 1980s, the financial markets wanted companies to specialise. Any company with a lot of fingers in a lot of pies was seen to be ripe for takeover by a venture capitalist who would sell off everything other than the ‘core business’, then sell off the asset-stripped remainder of the business for a profit. Ironically, the pendulum has swung back now, and companies are encouraged to diversify into anything related – unless they are ‘underperforming’, in which case they should do the opposite. But in the 1980s, cash was king, and BET and Rediffusion owned a lot of cash, but controlled comparatively little. The venture capitalists – like vultures – started to circle. BET began immediately to sell off the ‘non-core activities’. Rediffusion Hong Kong and Rediffusion Singapore were sold to the local governments or their agents. 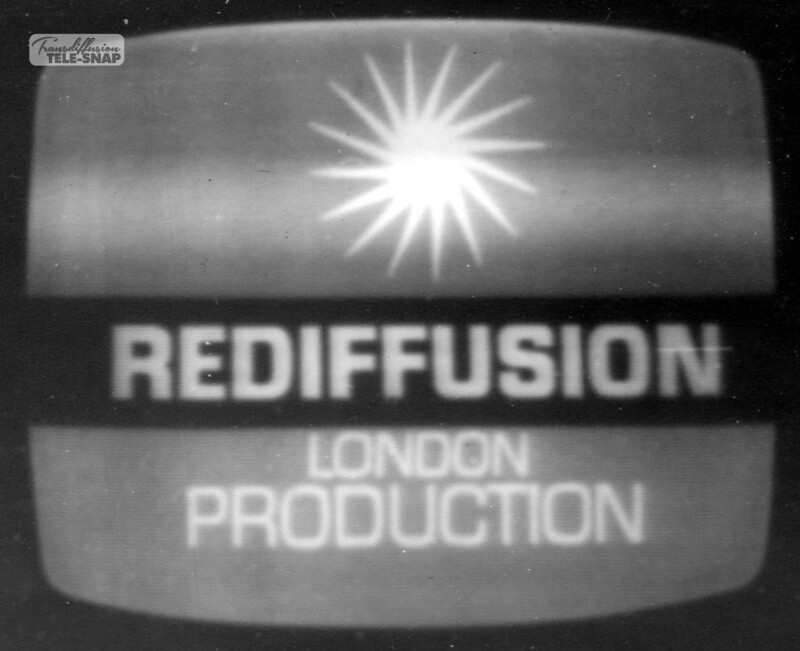 Rediffusion Rentals disappeared from all but the High Streets of the Channel Islands (and soon not even there), and Rediffusion Television’s stake in Thames Television was floated. Soon, everything had gone except for what BET perceived as their new core market: Facilities Management. They were poised to ride the boom of commerce that transformed the UK in the late 1980s. And then the Tories managed to burst their own false boom, bringing rapid recession to the entire economy. The new market that BET had hoped to tap burst at the same time as companies retrenched and the trend for ‘outsourcing’ rapidly disintegrated (it would return a decade later with renewed force). BET was left cash rich from the sell-offs, but without a market to appeal to – it was ripe for a takeover. The company tried mergers and takeovers of its own, coupled with rebrands and refocusing. But the share price remained in the doldrums – the company, put simply, was unfashionable. It wound up as nothing really more than a contract facilities company – cleaners for offices, in other words – under the name ‘Initial’. Under that name, the smaller but more fashionable Rentokil, best known for the extermination of rats and insects in homes and offices, made a bid – and Initial succumbed. The new company was called InitialRentokil and continued to use the Rediffusion Adastral. Eventually, it became Rentokil Initial with a new logo, and is set to become simply Rentokil shortly. And there, perhaps, would end the story… but not quite. 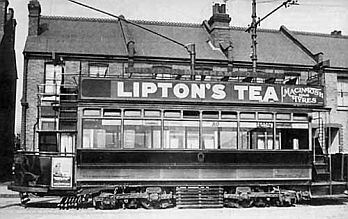 Because the tram, the maker of BET’s fortune and so long unfashionable in the UK, is now on its way back. Already south London, Manchester and Sheffield have well-developed tram systems. Birmingham’s is now open. Newcastle/Gateshead is growing along disused and ceded British Railways lines. Leeds is next to put trams back on the old BET routes. Birkenhead and then Liverpool will follow, with European Union money already allocated. Rediffusion Television, so long forgotten – or at least dismissed because of the hour a day of (remembered) popular shows they transmitted to fund more, now forgotten, hours of quality programming – is now the darling of the British Film Institute, with the BFI actively seeking lost Rediffusion and Associated-Rediffusion programming. The name of the 40-year-old organisation behind this web site “Transdiffusion” is at least in part a tribute to that television company. 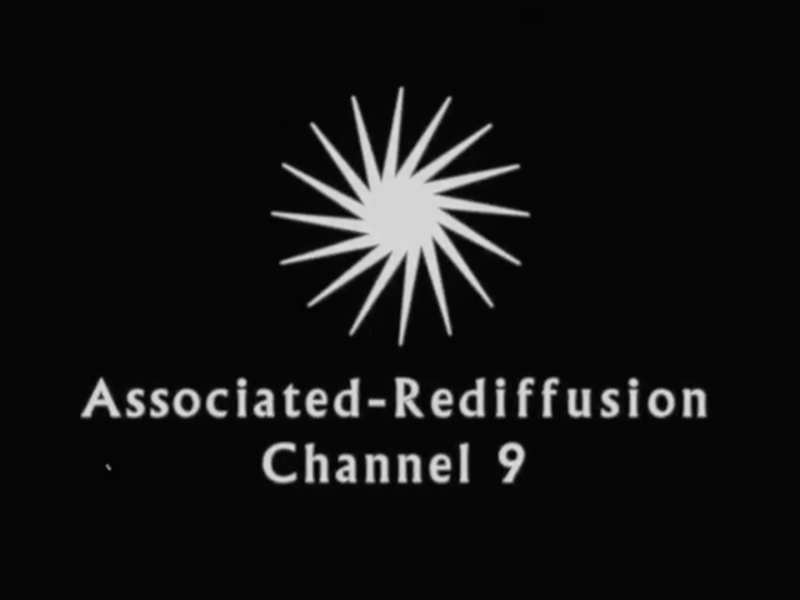 And most recently, television producer and critic Victor Lewis-Smith has secured the use of the name Associated-Rediffusion Television Productions for his production company, along with the signature adastral, so the familiar A-R endcaps are visible once again at the close of fine and varied television programming, as they were almost fifty years ago. British Electric Traction, Rediffusion and their associated companies over a century deserved to be remembered and the facts known. 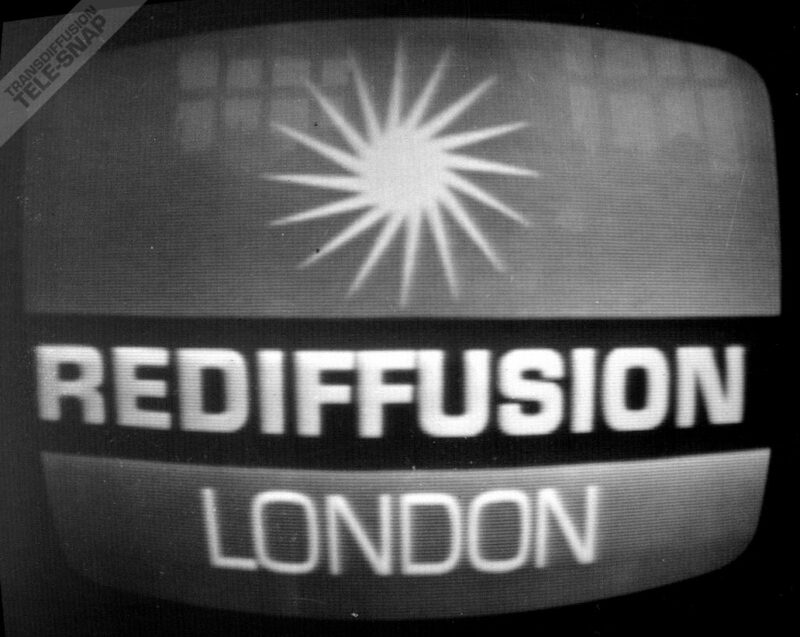 Rediffusion and its employees were part of an organisation that helped make domestic transport easy for working people; helped pioneer popular mass entertainment; helped win World War II; helped bring information, entertainment and enlightenment to the UK, the Dominions, the Colonies and the Commonwealth for over 50 years; and produced some of the best television programmes and popularised some of the best music the world has ever known. For that, former employees can be proud of Rediffusion and its familiar star.